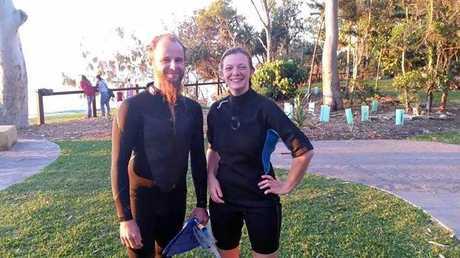 TWO French backpackers have saved the life of a baby whale on the Sunshine Coast. 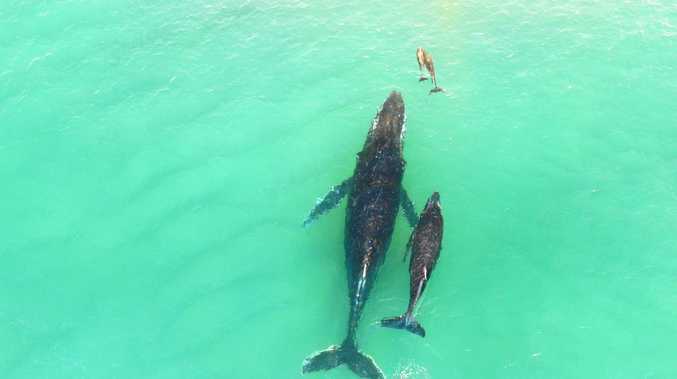 The ABC reported yesterday that a seven-metre whale calf had been rescued, refloated, and reunited with its mum by two backpackers at Noosa. It is not confirmed how the whale calf became stuck, but the incident comes only days after a push to plan to scrap shark nets from Coast beaches during the whale migration season. The calf was lucky to survive, after two humpback whales died yesterday in a separate incident off Fraser Island. The two whales beached themselves in a shallow, narrow area of the Great Sandy Strait. Baby Whale plays with Mum: A Humpback Calf breaches in water off Tangalooma Resort.